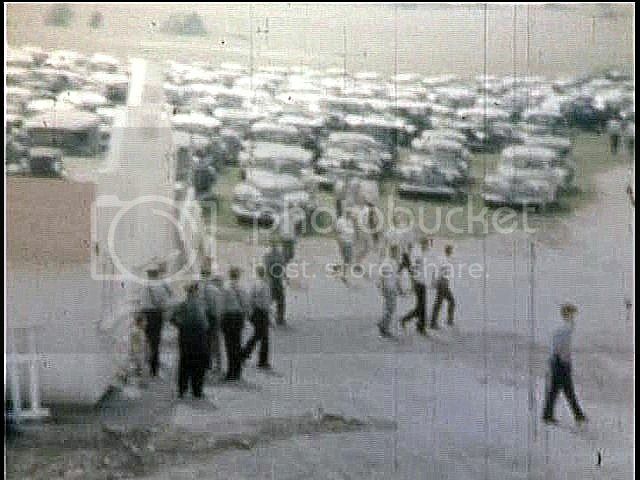 i took this image off of a vintage 1948 Selinsgrove Speedway video. i've been looking for a photo of the entrance from the late 60's or so for a long time. the entrance i'm looking for was similar in construction but iirc it had images of an open cockpit car and a jalopy sedan on it. if anyone has such a photo i'd love to see it. possibly in a fair program? anyway here's the pic from 1948. Seems like a lot of cops there....were they expecting a rowdy bunch of fans or what?